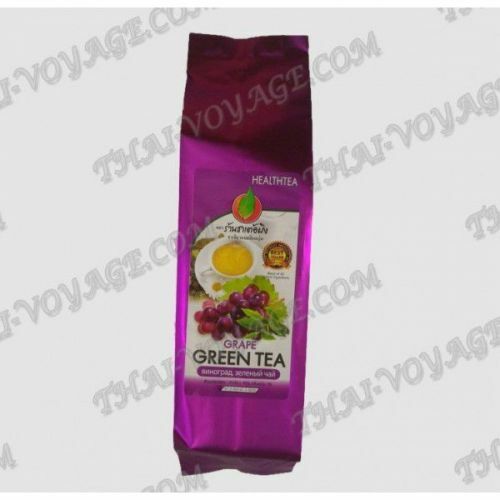 It has a very impressive stock of biologically active substances, grape tea is well known to all fans of folk medicine, is a powerful natural antioxidant, can work wonders to cleanse and rejuvenate the body. Like other derivatives of the vine, the leaves of this plant even after drying, do not lose they contain bioflavonoids – substances that have the ability to improve the functioning of the hemopoietic system. It is widely used in the treatment of thrombosis, varicose veins, hemorrhoids and bleeding, use during rehabilitation therapy in the postoperative period. Possessing pleasant taste and aroma, green tea with grape leaves helps to restore water-salt balance in the body and is especially useful during the hot periods of the year, as well as the poisoning, reducing the risk of dehydration when diarrhea and vomiting. It contains the binding components also have a beneficial effect on the mucous membrane, alleviating nausea and other consequences of violations of the functioning of the vestibular apparatus. Natural vine tea is popular as anti-aging agents – it is often used as a component of integrated programs for detoxification of the body, and with regular use of this drink helps to reducing body weight and improving metabolic processes in all body systems including the endocrine system. The tea is equally tasty and healthy both hot and cold. Preparation: two tablespoons of tea leaves pour 500 ml of water heated to 90 degrees. Allow to stand for 5 minutes.